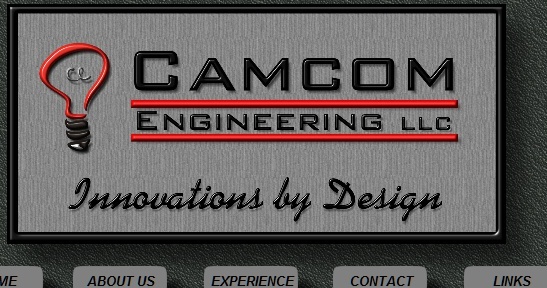 Camcom Engineering was started in 1982 as a provider of Design Engineering Services. Since then, Camcom has expanded into a full service Engineering firm, providing Mechanical, Electrical, Manufacturing and Software Engineering services and products. As a full service firm, Camcom not only offers consulting services, but also turnkey solutions to your engineering needs. Including: Fabrication, Integration, and Training. Projects to date range from Custom Design Software Applications, Mechanical Design Services, ElectroMechanical Design Services, Custom motion control systems, CNC Software / Machine Programming and Custom Automated Manufacturing Machines. Camcom has been heavily involved with Manufacturing and Machining environments for over twenty years, and employs Mechanical, Industrial, and Software Engineers familiar with today competitive markets and ever changing technologies.